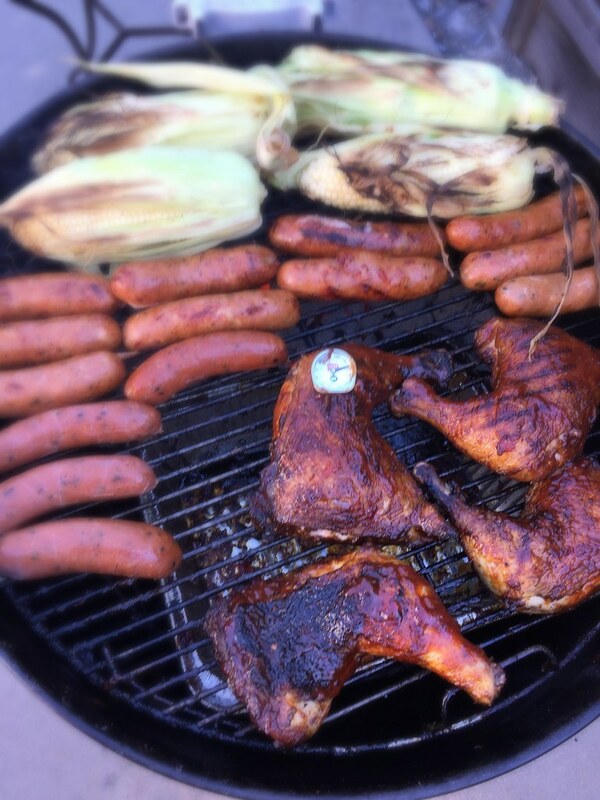 I love spontaneous summer BBQ’s that instantly turns lazy Sundays into Sunday Funday. After walking a 5K with the girls on Sunday morning, my buddies text messaged me and told me a few of them were coming over to hang out and bringing stuff over to BBQ in my backyard. Luckily, I had some chicken legs hanging out in the freezer. I thawed the chicken legs, seasoned with some simple seasonings, and BBQ’ed the chicken legs for dinner. While the chicken cooked on indirect heat on my Weber grill, my buddies and I hung out, played with the kiddos, and listened to the new Kacey Musgraves Pageant Material CD. It was such a perfect evening full of unheard stories from our high school days, jokes and laughter, and delicious BBQ’ed chicken. 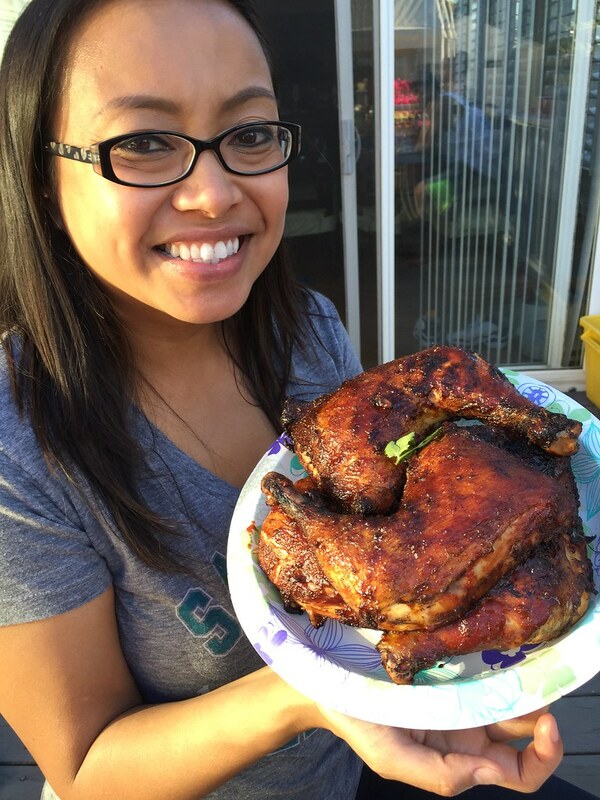 Chicken legs are great for backyard BBQs because it’s super easy to prepare and cook. Plus, you will have plenty of time to hang out while the chicken cooks on indirect heat. 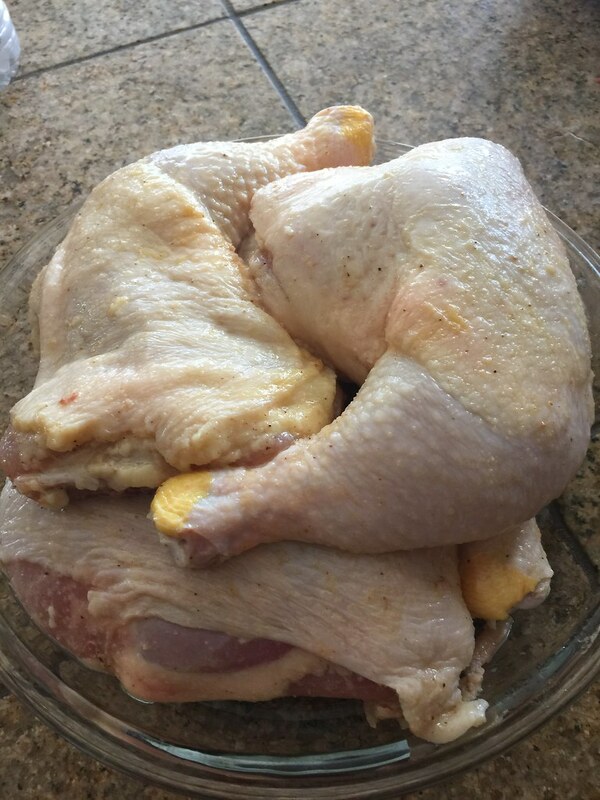 Prepare Chicken: Thaw, wash, and trim excess fat off each chicken leg. Season Chicken: Drizzle some vegetable oil and sprinkle kosher salt, black pepper, and granulated garlic on both sides of the chicken legs. With your hands, gently rub the seasoning into each chicken leg and under the skin. Season the chicken for at least 2 hours before grilling. Grill Chicken Legs: Set up two-zone fire on the grill for indirect grilling. Clean grate and then oil the grate. Sear chicken on both sides on the direct heat 2 minutes per side. Transfer chicken legs to indirect heat. Cover grill with the lid with vent holes fully opened and over chicken. Cook on indirect heat for 45 minutes. Open lid, brush sauce on the chicken pieces, and cover lid and continue cooking for 10 minutes. Repeat the brushing step for about half hour or until the internal temperature of the chicken legs reach 175 degrees. Invest in a meat thermometer. This will ensure that your meat is cooked properly. Brush on your favorite sauce or glaze towards the end of cooking. It can be traditional BBQ sauce or anything you have available.